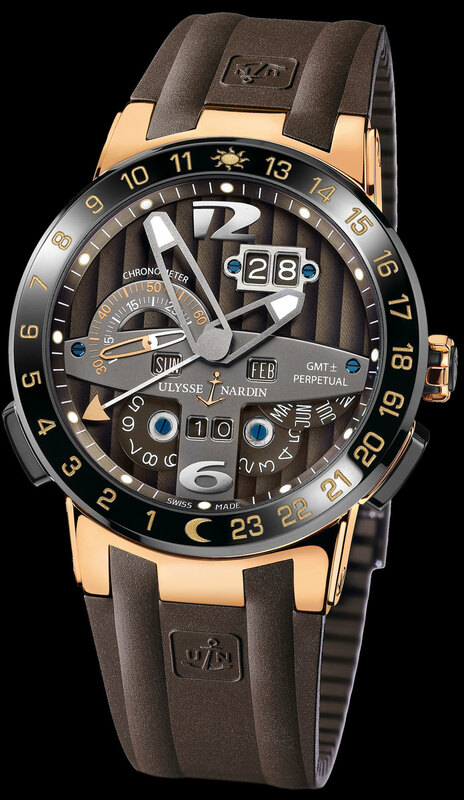 Ulysse Nardin El Toro, Perpetual Calendar, Limited Edition to 500 pieces. 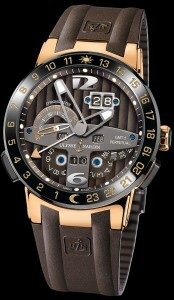 It is in 18k red gold, 43mm case, with an automatic movement, and GMT Dualtime function. It features a day, date, month, and year, if worn regularly, this timepiece will self-adjust for months having 30 or 31 days, it will self-adjust for leap year, and is programmed to the year 2100.